The Master of Red Assassin, Shirou was dispatched by the Church as one of the Masters of the Red Faction. He wants to make use of the Holy Grail War to fulfill his own wish. 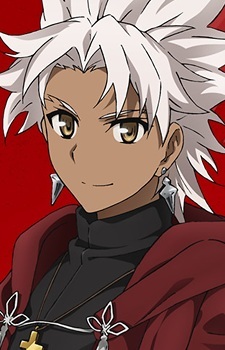 Shirou's true name is Amakusa Shirou Tokisada, the teenage leader of the Shimabara Rebellion. Born in the Edo period, he was a boy of miracles who could nearly be called a saint. He was the Ruler summoned by the Einzberns in the previous Holy Grail War, and he was incarnated by making contact with the Grail. After the war ended he was taken in by Risei Kotomine, and spent the 60 years between Grail Wars preparing an absolute victory so he could attain his wish.